Comfy cozy high waisted dream! So soft, high waisted, perfect for laying around the house! Love the skinny style but does run a little but small. Good quality sweatpant to have! Liked the narrow but not tight fit; comfortable without looking sloppy. I had to wear a brace for a fractured knee and was very pleased to wear the sweatpants co-ordinated with a TNA league bomber in navy. looks great, feels amazing... my new go-to and favorite sweatpant. Ended up buying a second pair I liked these so much. Great for when it’s cooler, fleece is warm and soft. Fit isn’t the slimmest fit I’ve ever had but it’s still tapered and looks nice enough to wear out. I love the fit of these pants. They are so cozy and not bulky. My favorite pair of pants. 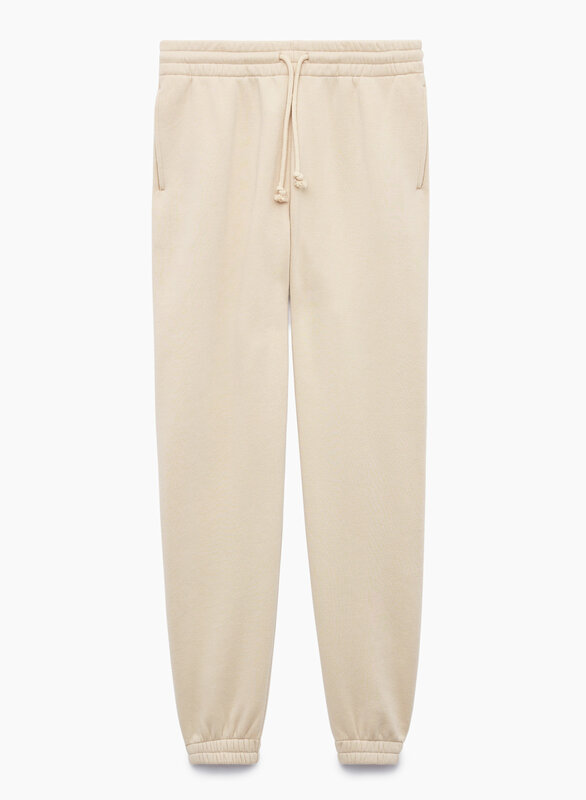 These sweats are soft and nice looking. Perfect for lazy days but you still want to look out together. These slim sweatpants were warm and comfy, perfect this weather. The cut us slim so when I leave the house in these pants I have the look of sweats while still looking like I care about myself.